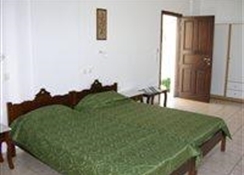 Despina Studios is built and decorated according to traditional style of the island and is located in a tranquil and pleasant area surrounded by gardens . It has a swimming pool with sun beds and umbrellas . 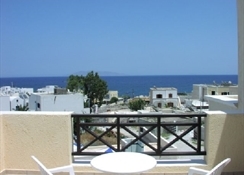 Despina Studios is located in a very quiet , relaxing area of the resort of Kamari , along a small pave way from a road . 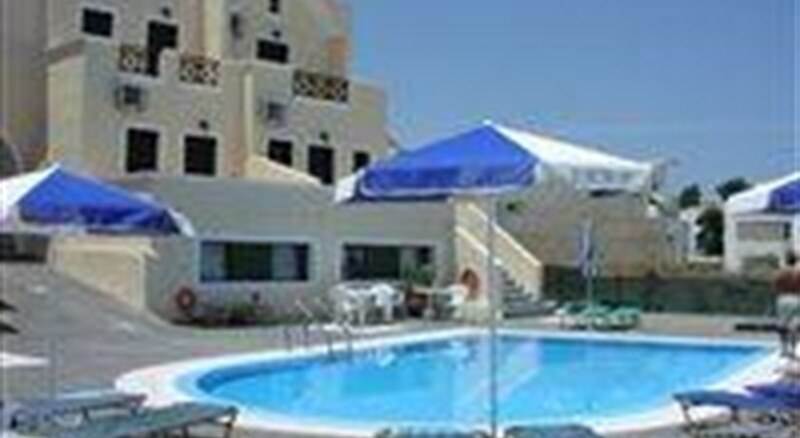 The hotel is very close to the black beach 120 m walking and 200 m from the centre of the resort . Along the beach promenade you will find a large variety of restaurants , bars and shops . You will find a mini market and the bus stop located 100 m away . 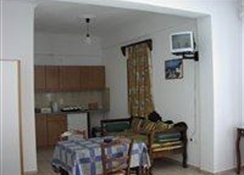 The rooms types in Despina are Studios for 2 or 3 persons . 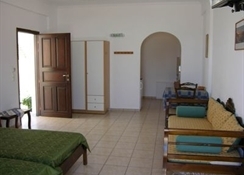 The Rooms are comfortably furnished and traditional . There are Air conditioning , fridge ,fully equipped Kitchenette , TV , Safe Box ( extra charge ) , Private bathroom and Balcony or terrace . From the airport you turn left and take the main road up to the junction . At the Junction you turn left to Kamari and follow this main road until you come to the mountain side . At the start of the hill to Ancient Thira , you follow up and take the first left and then turn left again and left again . You will come to the small pave way and Despina Studios is located on the left hand side . From the port you follow the main road to Kamari and take the same directions as above .